Last week I debuted an all-new segment to SuperPhillip Central, Report Card. I graded the Nintendo Wii's hardware, software, features, and online in fine fashion. Now, it is the Xbox 360's turn to be schooled. Sure, the Xbox 360 is currently outselling its competitors in sales, but does it deserve to? Let's find out with our second installment of Report Card. Let me say four words to preface this portion of grading: Red Ring of Death. It plagued the Xbox 360 for the majority of its life, and even made Microsoft spend a billion dollars or so in repair costs. They've easily made up that money. Why? Because gamers are willing to take it up the you-know-what and give a blind eye. When I read or hear people buying second, third, fourth, or even fifth 360s, I cannot help but throw up a little in my mouth. Yeah... that'll show Microsoft that they can't build shoddy hardware and get away with it! You show 'em, gamers! I actually had principles, so when my 360 died, I did not bother buying a new one. And I won't either. Gamers might be pathetic little losers who don't mind getting screwed over on a consistent basis, but I'm most certainly not one of those. 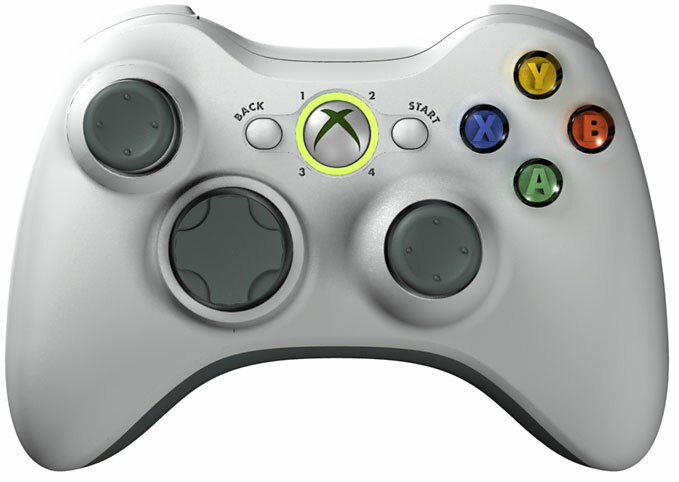 The ergonomic controller of the Xbox 360 is simply divine, regardless of what color you decide to buy. The analog sticks are not parallel like the PlayStation brand, so they offer more comfort and ease of use. Like Sony's controller, they can also be clicked in. The colorful Skittle-like buttons for A, B, X, and Y feel smooth and are shiny. Additionally, the triggers and buttons on the shoulders of the controller work wonderfully as well. But by far the most ingenious feature of the controller is the Home button, smack dab in the middle of the controller. At any point during a game you can press it in and have the home menu pop up. You can see what friends are doing, check out desired achievements, and much more all without leaving your game. That said, not all is well with Microsoft's 360 controller. The d-pad is a nightmare and one of the more worse ones in gaming history. You are the controller... well, if your controller was unresponsive and had a huge delay. That is exactly what you get with Kinect. Many people called the Wii a fad (even though the system has had a normal console cycle-- but don't tell the trolls that! ), but then they don't bat an eye to Kinect. At least the Wii had an abundant amount of games worth playing. You cannot really say that with Kinect. Maybe Kinect Sports and Dance Central? Everything else is a tech demo or doesn't work the way it is supposed to. The reason is because of the aforementioned delay between actions and what happens on screen. Kinect is promising tech, but all it has done is made gamers (the most afraid of change people in the world, it seems) hate motion controls even more. The Xbox 360 can download plenty of unique content for owners. There's applications for YouTube, Zune, ESPN, HBO Go, Xfinity, and many more. There is a myriad of uses for one's Xbox 360, and most of them turn your system into an elaborate media hub. With Kinect you can use your voice to activate certain programs and guide yourself through menus. Sure, an actual controller would work just as well (maybe even better), but hey, people love gimmicks! 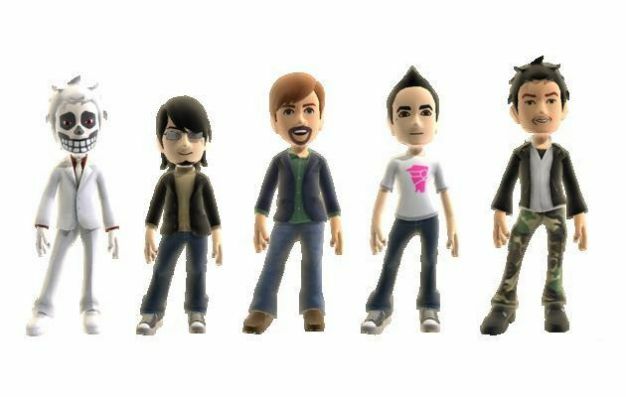 Speaking of gimmicks, Microsoft opted to "borrow" the Mii idea from Nintendo with their version of the humanoid creations. You know them as Xbox 360 Avatars. These don't allow as much customization, but they are more lifelike than their source of inspiration. Unlike Miis you can actually dress your Avatar in one of many outfits. Some games even tie achievements (which is the next subject of this segment) with certain costumes. I remember one Sonic game unlocking an Eggman costume for performing a certain objective. A feature that started on Xbox 360 are achievements. They don't do anything except give you a higher Gamerscore to brag to your friends about, but they create satisfaction in accomplishing in-game goals that you might not have tried without them. In fact, I've played games much longer than I otherwise would have thanks to achievements. They are a welcome addition to gaming, but I hope the next generation of this invention gives players actual in-game goods for completing them. Then there's the matter of Xbox Live Arcade, the best source for original and not-so-original arcade-style experiences, quick downloads, and indie titles. Even if Microsoft's offerings aren't the greatest, the sheer amount of compelling content makes XBLA the place to go for digital games like Rez, Braid, Shadow Complex, and a whole slew of other games. Xbox Live is without a doubt the best online money can buy. Though, if I am spending $60 a year just to play online, why am I still being bombarded with ads? I already know Microsoft is a money-hungry company that cares more about profits than the consumer's experience (more so than any other company), but this is ridiculous. My money should take care of having to need ads. Seriously though, why should I have to pay for online when the PlayStation Network offers almost the same amount of online functionality but for free? Sure, there's no party chat option on PSN, but is that worth a $60 difference in price? Xbox Live is full of bigots, racists, and homophobes, and it really paints a poor picture of humanity. It just shows that through anonymity, cowards the world over will use voice chat and messaging to create enough expletives and hate-filled language to make the Angry Video Game Nerd blush. Then there's games that are now totally unplayable like Call of Duty: Modern Warfare. 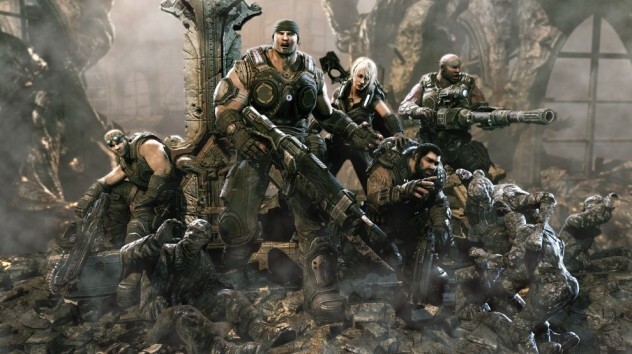 It is full of hackers, glitchers, and cheaters who make playing online virtually impossible. Why should Activision fix it when they have the newest Call of Duty to worry about? It's things like this that make the sums of Xbox Live's parts just a pain to deal with. Why should I pay for the luxury of being called gay, shot by a person standing outside the actual level, and seeing an assault of advertisements? I originally wanted an Xbox 360 for the sole reason of being able to play Rare's games. They were one of my favorite developers in the world, but Microsoft (as good as they are at this) decided to dissolve them and make them do Avatars and Kinect software. Thankfully, this change didn't happen for some time. Xbox 360 owners got sensational titles like the vehicle-assembly, mission-accomplishing Banjo-Kazooie: Nuts & Bolts, the pinata-luring, pinata-mating Viva Pinata and its excellent sequel, and a game that is near and dear to my heart because it is based off the best FPS on the Nintendo 64-- it's none other than Perfect Dark Zero, which I enjoyed more than Halo just because of the mission structure and bots in multiplayer! Yes! Microsoft is obviously more Western-focused than other first-parties. This is a turn-off for me as their output for this generation is in my eyes the worst between Nintendo, Sony, and them. I can only handle so much Halo before I am burnt out on it. Unlike Mario, Zelda, LittleBigPlanet, and Ratchet & Clank, Halo doesn't really change its gameplay between entries. All that changes are the set pieces and scenarios. That is the definition of a rehash in my book (take note, friends). Then you have another shooter for dudes and fratboys known as Gears of War and a more than competent racer in Forza Motorsport. Even their attempts to enthuse the more casual gamer come off as insulting. Their Kinect lineup reeks of ill-conceived ideas and knockoffs. 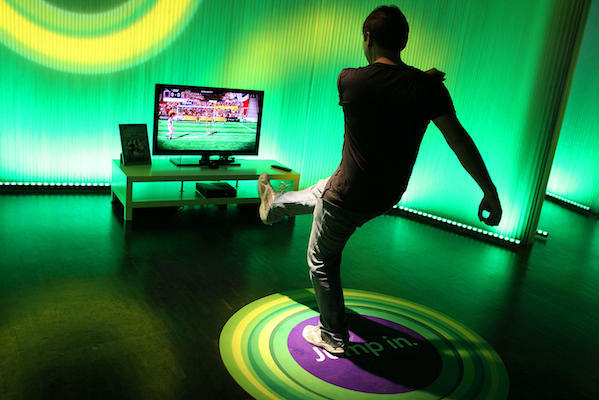 I mean, Kinect Sports is basically Wii Sports for the whole body, and Dance Central is basically Just Dance for the whole body. But I guess as long as Microsoft gets their sales, they don't care if they are putting out poor software. That's an easy solution-- I just won't buy them. At the start of this generation, Microsoft was courting third parties left and right. They wanted Japan. They secured timed and permanent exclusives like Blue Dragon, Eternal Sonata, Lost Odyssey, and Tales of Vesperia. When it appeared that the Japanese people wanted more than Microsoft could offer, the company retreated and desired to conquer the West. I have to give Japan some credit there. 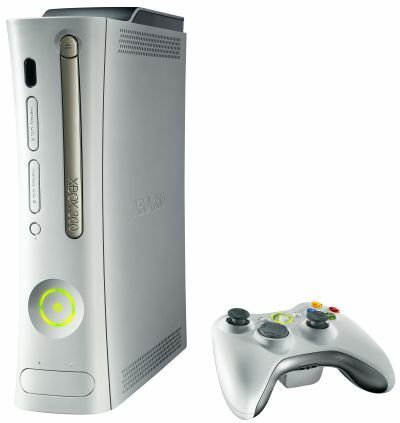 The Xbox 360's architecture and hardware might be weaker than the PlayStation 3, but it is much easier to develop for. This is why most third party titles run much better on Microsoft's system than Sony's. Just look at The Elder Scrolls V: Skyrim and compare versions. One runs smooth as butter while the other is a nightmare to play. The 360 has the lion's share of software from companies like Activision, EA, Ubisoft, THQ, Square Enix, Namco Bandai, Capcom, Sega, among others. 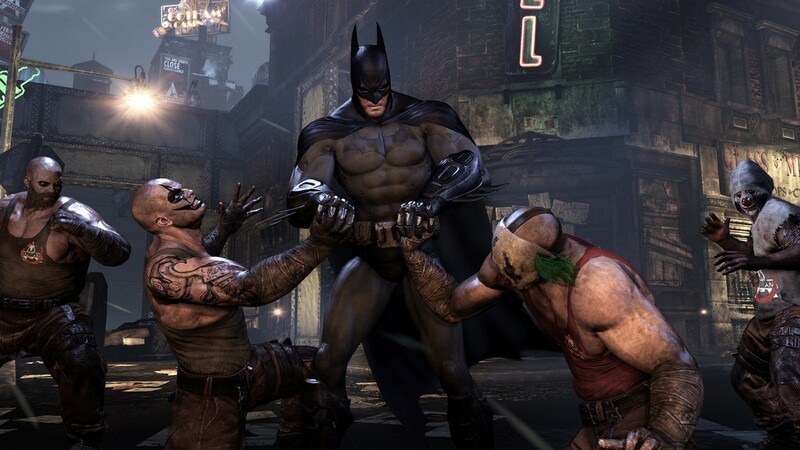 From Batman: Arkham City to Assassin's Creed, there is no shortage of compelling software for the system. I'm not going to split any hairs here. The Xbox 360 is one of the worst consoles I have ever owned. It is without a doubt one of the most overrated ones. The online is a sham that is overpriced, the community is hateful and skewed young, and the exclusives are mediocre in my mind. Kinect is what is selling consoles, and I bet most people are just getting the bundle and never buying another single game, something Wii critics claimed happened with Wii Sports despite evidence of the contrary. Regardless, if you want the best versions of third party titles, want a capable controller to play them, love digital downloadables, and like having lots of non-gaming features to go with your purchase, you cannot go wrong with the Xbox 360. Not exactly the most popular opinion of the console, but my judgment on the Xbox 360 has been made. What are your quarrels or agreements with my grades? Hit me up with a message in the comments section. There's a lot of good points to be had here. I don't know about the hardware though - I've had an Xbox 360 RRoD on me, but my other one has lasted years. And the RRoD occurred for me about the same lifespan as my original Wii and PS 3 died as well. And none of those 3 were real early on in their life cycles - around year 3, but I take really good care of my systems (which is why I still have working NES, SNES and Sega Genesis floating around my house still). I'm not even sure I'm convinced that the 360's online is better than the PSN, but the cost of it kills me by comparison. I agree the Kinect seems like a giant gimmick and there needed to be more quality exclusives for the 360 over its life span. Still, for me personally? This comes in just a tad higher than the Wii overall, mostly due to the superior bells and whistles and online capability. PS 3 still rules our household it seems.